Video of the day is another one from the Carl Hasselrot sessions. The wonderful Roland Juno 106 going thru a swamp of Moogerfoogers. 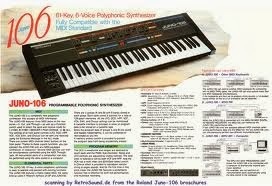 Apparently all of these people like the Juno-106 too!!! I think we are in good company.